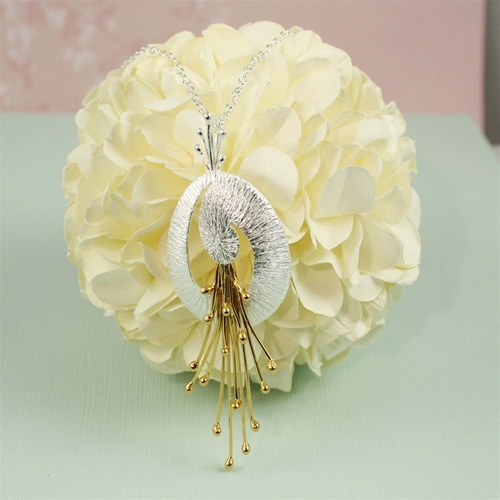 The pendant on this silver necklace is certainly grand. 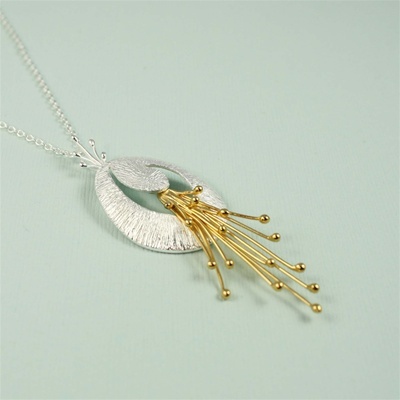 It starts with a spiral of texturized silver that appears to stream celebratory bursts of gold. 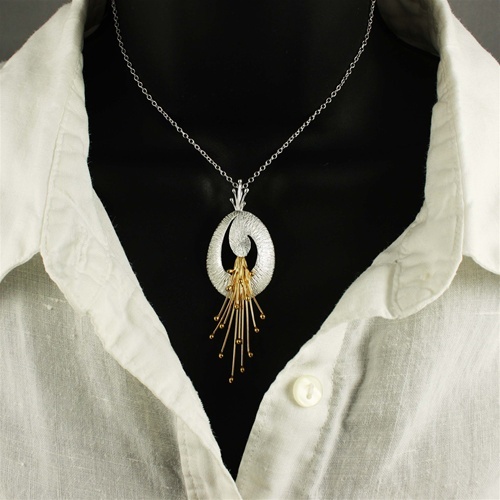 All is made with sterling silver that's plated with a yellow gold finish, which goes well adjacent to the brushed silver and connection design attached to the chain. Approx. pendant measurement: 3" x 1"